The Bakersfield College Orchestra performs Peer-Gynt, one of Henrick Isen’s greatest works, in the BC SPArC Indoor Theater on Oct. 13. The performance was for elementary school children. The Bakersfield College Orchestra put on a concert geared toward children in elementary school at BC on Oct. 13 in the SPArC Indoor Theater. The BC Orchestra played Henrik Ibsen’s Peer Gynt. This was a series of pieces that told a story. As the Orchestra transitioned from song to song, a member narrated the story behind the music. “I chose it (Peer Gynt) because I thought it would be a neat experience for them to learn to do a programmatic piece like this,” said Buringrud. Buringrud explained that if the concert was during the day and there was more time for better planning then the outcome would have been better. 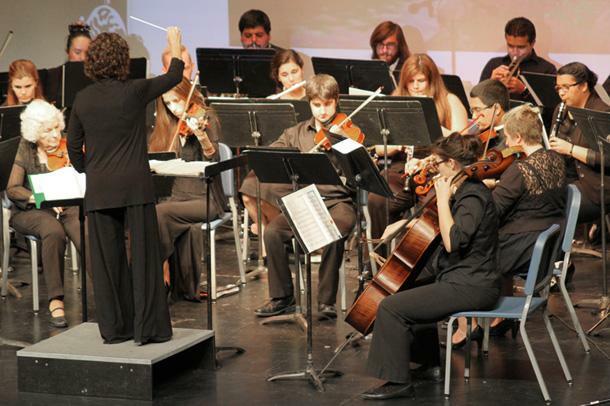 The BC Orchestra will have another concert on Nov. 11 at 7 p.m. called the Concert Americana! There will also be a concert on Dec. 9 at 7 p.m. called the Holiday Winter Concert.